Trita Parsi: Trump's offer to meet with Iran's President Rouhani won't get us a better deal. We had our chance and lost it. Trita Parsi Trump's offer to meet with Iran's President Rouhani won't get us a better deal. We had our chance and lost it. After withdrawing from the Iran nuclear deal and threatening Iran with "consequences the likes of which few throughout history have ever suffered before," President Trump announced on Monday that he wants to meet with President Rouhani without preconditions to craft a new deal. Trump thinks he can achieve this by sanctioning Iran until the rulers in Tehran beg for mercy. 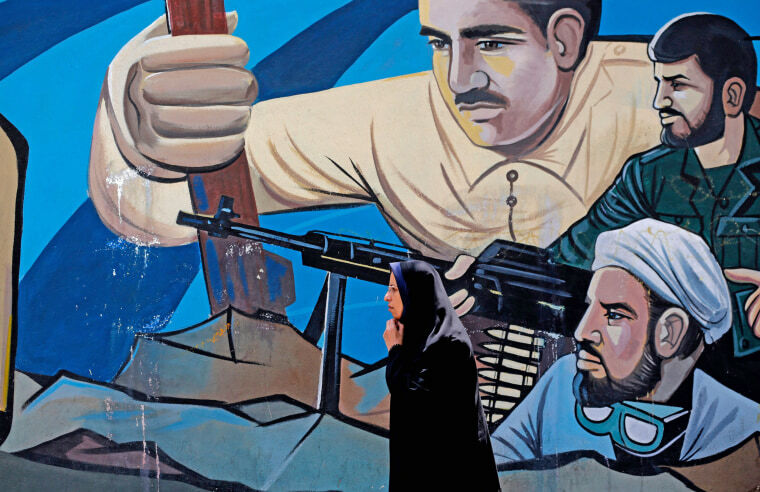 But if history is a guide, there will be no such capitulation by Iran: With the Iranians, one of the most costly things to do, both culturally and politically, would be to show Trump the respect and deference he desires after his aggressive string of insults. So I am skeptical about Trump’s ability to pivot to diplomacy with Iran, but that is not to say that a better deal cannot be achieved. Indeed, better deals have often been on the table — but the United States rejected them at the time. In March 2003, the Iranians sent a comprehensive negotiation proposal to the George W. Bush Administration through the Swiss ambassador in Tehran. Unlike the Iran nuclear deal, this proposal was not solely focused on nuclear matters: The Iranians offered to help stabilize Iraq, disarm Hezbollah and collaborate against all terrorist organizations (especially al Qaeda). They even offered to sign on to the 2002 Beirut Declaration, recognizing Israeli statehood in return for Israel’s recognition of a Palestinian state. And, of course, Tehran offered to open their nuclear program for full transparency. But the Bush administration believed — much like Trump — that it could secure a better outcome by just continuing to pressure Iran and didn't even dignify Iran with a response. Instead, the State Department reprimanded the Swiss for having delivered the proposal in the first place. Two years later, the Iranians sent another proposal through the Europeans: Having already expanded their nuclear program, Tehran offered to cap its centrifuges at 3,000. The Europeans didn't even bother to forward it to Washington, knowing the administration would reject anything that allowed Tehran to keep even a single centrifuge. The Iranians had roughly 150 nuclear centrifuges at the time of the 2003 proposal; by the time the interim nuclear deal was struck in 2013, Tehran had 22,000. During a closed White House briefing with a number of organizations that favored a peaceful resolution to the Iran situation in early 2014, a colleague asked one of America’s negotiators where a final deal likely would land in terms of centrifuges. Would it be possible to rollback Tehran’s centrifuges to 3,000 again? “We would jump on the opportunity to get that deal if it was offered today,” the official responded. A few weeks later, I interviewed the Iranian foreign minister during one of the round of talks in Europe and asked the same question, trying to find out how the centrifuge issue likely would be resolved. To my surprise, Zarif explained that 3,000 had just been Iran’s opening bid in 2005. “We would have settled for 1,000,” he recalled with a smile. Eventually, Obama’s nuclear rolled back their program to 5,000 centrifuges — 2,000 more than their opening bid in 2005. There are many similar examples; what they all have in common is that the United States usually believes that it is too strong to ever offer Tehran any concessions and doing so would ultimately undermine America’s standing. After all, Iran — unlike North Korea — doesn't even have nuclear weapons, the thinking seems to go. Reality is, of course, quite different. Whenever the U.S. has managed to change Iranian policies, it has been as a result of offering valuable incentives and concessions. The diplomacy that led to the Iran deal, for instance, would never even have taken off had it not been for Obama, in secret negotiations, accepting nuclear enrichment on Iranian soil. There is no guarantee that a “better deal” can be reached by Trump, and many of Trump’s demands are proven non-starters. But if Trump wants to explore realistic changes in Iran’s regional policies, missile defense or tougher restrictions on its nuclear program, he must first be willing to contemplate changes in U.S. policy. Trump may have no objections to some of these: Tehran seeks respect and a recognition that Iran is a major regional power without whom stability in the region is unachievable. To Trump, granting them this may be unproblematic. His allies in Israel and Saudi Arabia, however, will vehemently oppose any measure that signals American acceptance of Iran’s growing standing. But other changes in U.S. policy will be trickier. Iran, for instance, will not agree to limit its missile program if Washington continues to sell Saudi Arabia, Israel and the U.A.E. billions of dollars worth of advanced weaponry. In fact, both Riyadh and Abu Dhabi outspend Iran on weaponryby a factor of five and two, respectively, despite having far smaller populations. And while Iran cut back its defense capabilities through the nuclear deal, the Saudis and Emiratis both beefed up their defense spending. Unless Washington is ready to rethink its arms sales to its Arab allies — and Trump clearly wants to sell them more weapons — it should have no expectations that Iran will cut back its missile program. Another non-starter is the idea that Iran must stop asserting its influence in Syria, Iraq and Lebanon while Washington continues to help Saudi Arabia starve the people of Yemen, turns a blind eye to the Saudi Crown Prince kidnapping the Lebanese Prime Minister and financing the spread of extreme Salafism (the ideology of al Qaeda and ISIS). And then of course you have Trump’s unquestioning support for the Netanyahu government in Israel and the tensions between Hezbollah and Israel, where neither side is in a position to simply capitulate or walk away. The bottom line is that a better, bigger deal invariable will entail both American and Iranian concessions. If Trump isn’t willing to recognize this, he should stop pretending that his reckless rhetoric and Twitter threats are aimed at paving the way for diplomacy. Trita Parsi is the author of "Losing an Enemy — Obama, Iran and the Triumph of Diplomacy" and the President of the National Iranian American Council. Trita Parsi is the author of "Losing an Enemy — Obama, Iran and the Triumph of Diplomacy" and the founder of the National Iranian American Council.